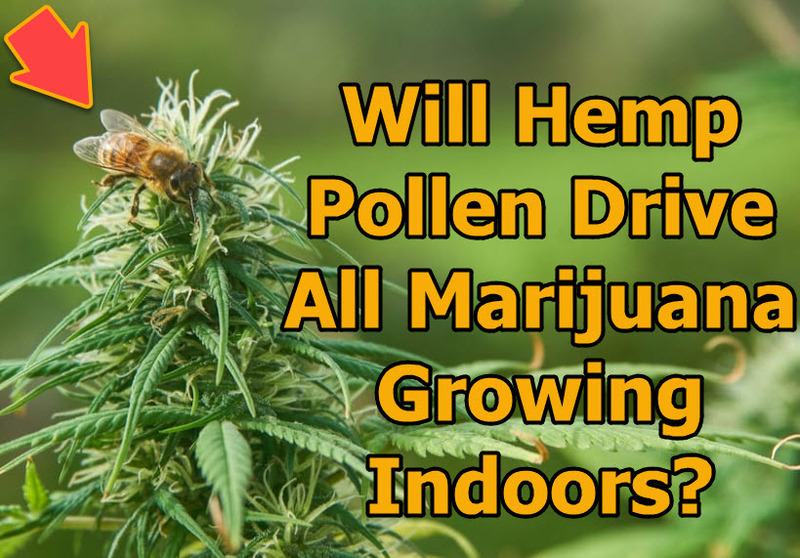 Home Marijuana News Will Hemp Pollen Drive All Marijuana Growing Indoors? Hemp – The wonder crop. Finally, after years of living in obscurity we’ll have hemp fields come back in style. And the Hemp industry will grow much faster than the cannabis industry. I mean, they are going to throw billions on this crop and soon you’ll have hemp products available everywhere. For everyone this is good news, including the cannabis community. Even though, it does pose a huge problem for outdoor marijuana growers. Hemp pollen can pollinate a female plant for up to 30 miles. Considering that hemp farming will get government subsidies, more lenient permits to start growing and a higher demand than marijuana on a global scale…you can expect Hemp farms to become a “thing” over the next three years. Hemp plantations will be far larger than marijuana farms. And as we know, when a marijuana plant starts producing seeds, it reduces the amount of THC in the plant. This obviously is a big problem the cannabis industry as a whole will face over the coming years. In all likeliness, that would mean that most marijuana production will be forced indoors. Why would weed go “Indo”? As mentioned, Hemp pollen can travel far. Multiply this with hundreds of new hemp farms popping up all over the place and soon you’ll have a pollen cloud cover entire states. When growing marijuana for recreational purposes, having un-pollinated plants means you can maintain the integrity of the THC profile. This means more THC per plant, which is something that many cannabis consumers look for when buying strains. The modern stoner likes a mild to heavy hitting strain that requires smaller doses and provides clearer highs. They don’t like seeds. If Hemp is growing everywhere, it would be difficult to produce such crops outdoor. A Hemp farmer could be growing his crops a few acres away from your farm, and you’d still get pollen on your crops. More seeds means less THC. Utilize Climate Stabilization Technology to maintain a sterile environment of course. In other words, move the plants indoors and make sure that the environment remains free from pollen. I can see that eventually there will be a few outdoor grows in green houses that will be the “sun grown” cannabis some people will prefer. Most however, will move indoor where all the elements within the grow can be controlled. Well, for starters you’d be able to grow less weed indoors than you would outdoors. Perhaps, greenhouses might be able to get close to the same crop-out threshold than outdoor farms can achieve, but you’ll still have somewhat of a limitation in terms of space. We might see a slight dip in the total production value in terms of quantity if most grows move indoors or in greenhouses, however, I don’t think it would make too much of a dent. A benefit would be that the cannabis will be under stricter control guidelines. Maintaining the perfect atmosphere, heat, humidity and the likes, will mean that our cannabis will become more sophisticated over time. The other thing that would happen is that hemp would be grown for many other industrial purposes. CBD for starters will get cheaper over time. Full Plant Cannabis Oil will be more expensive than CBD oil. And THC will be the most expensive. However, the price difference wouldn’t be too much. Also…these are just predictions based on the trends of the industry. I don’t know how things will play out, however by looking at the Farm Bill…you can see that there is a big industrial push for Hemp. The blueprints have been set up and understanding the interaction between hemp and marijuana, one can envision a future similar to the one I’m describing. Weed will become more refined. Production and indoor cultivation techniques will be improved. We’ll learn more about the plant and will begin to experiment with strains at a higher frequency than today. Irrespective of what happens, I do personally believe that many of the outdoor marijuana grows will move indoors over the next five to ten years. There simply won’t be enough space available outdoors that will be far away from hemp plantations to grow without the fear of cross-pollination. Especially since seeds would devalue the crop at retail level. I mean, people would still buy it…but you’d have no control over the genetic profile of the offspring of your cannabis plants. More seeds though mean more people having the ability to grow at home…so it might not be a lost cause after all. Nonetheless, as cannabis and hemp etch their way into our every-day life…we will see how the chips fall. I for one am excited to see how this all plays out. What do you think will happen? 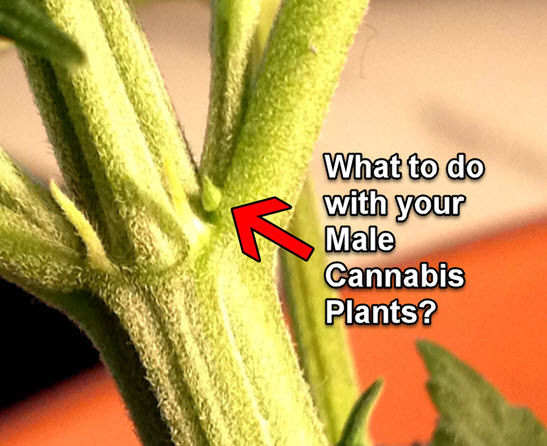 MALE CANNABIS PLANTS AND HEMP, WHAT CAN YOU DO? CLICK HERE. 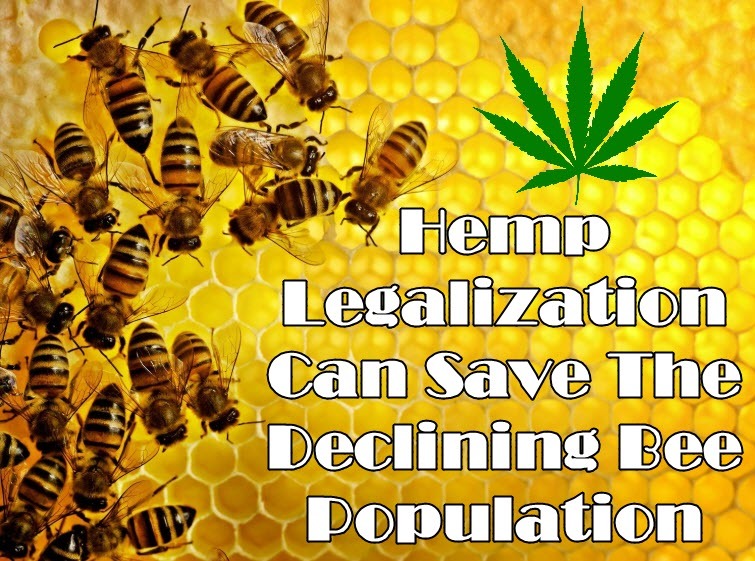 CAN HEMP SAVE THE BEE POPULATION, CLICK HERE. Drive, Growing, Hemp, Indoors, Marijuana, Pollen. Bookmark. How Does Cannabis Affect Male Fertility?